Indonesian students in attendance at Shoreline’s international student orientation for spring quarter got a surprise Mon., March 23 when U.S. Ambassador to Indonesia Robert Blake made an appearance at the college. 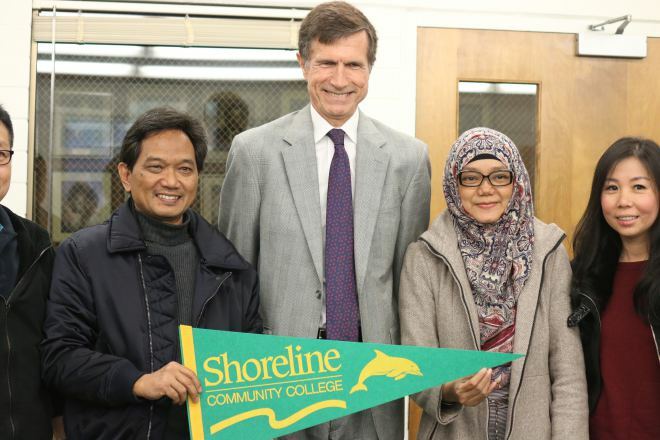 Ambassador Blake stopped by Shoreline as part of an outreach tour and spent over an hour meeting with Indonesian students and their families, as well as with Shoreline President Cheryl Roberts and members of the Board of Trustees. 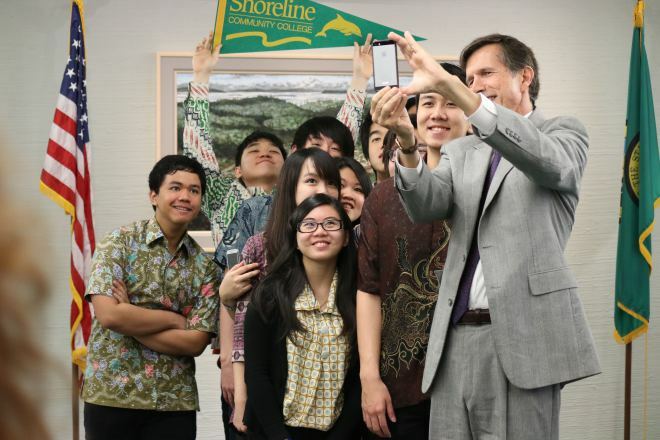 Ambassador Blake praised Shoreline’s reputation within Indonesia and revealed that his visit to the campus came recommended by his staffers, who noted Shoreline’s significant population of students from the island nation. 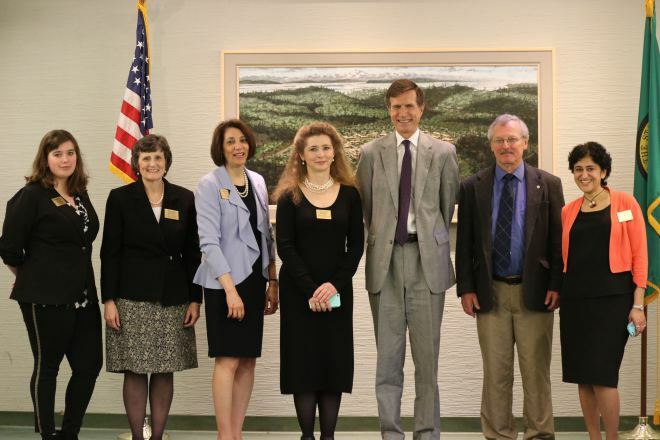 The Ambassador also revealed that community colleges hold a special place in his heart. His wife came to the United States from Bulgaria at the age of 18 and attended community college in New York before transferring to Brown University. Around 8,000 students from Indonesia attend college in the U.S., and of those about 2,500 attend community colleges. Shoreline currently enrolls about 130 students from Indonesia.